A top cap keeps the fork in place inside the headtube. 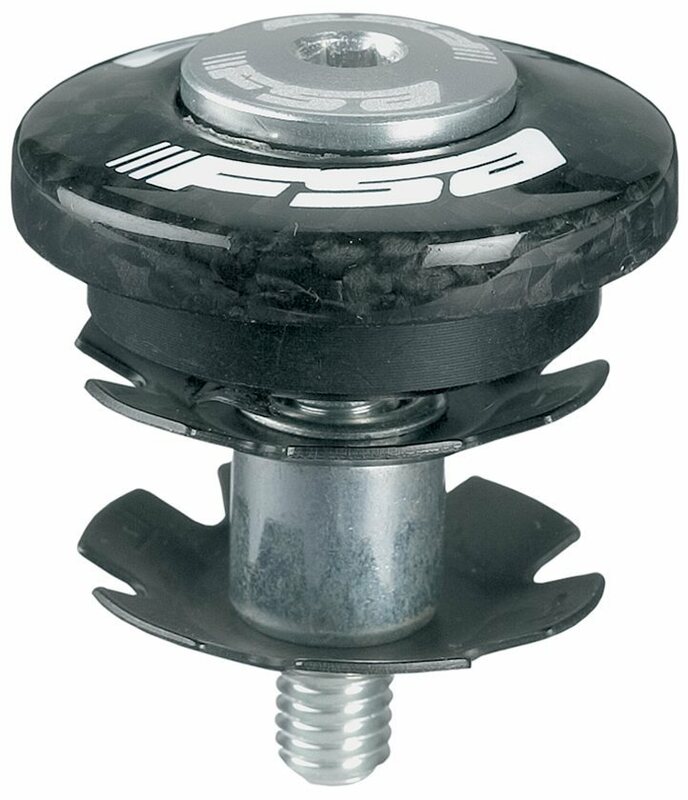 The FSA Carbon Top Cap is made with unidirectional carbon on the cap and comes with a star nut and a screw to hold everything in place. It's designed to work with 1-1/8 steer tubes. Its a good product that your trying to take weight off your alluminum bike. Less weight more speed.